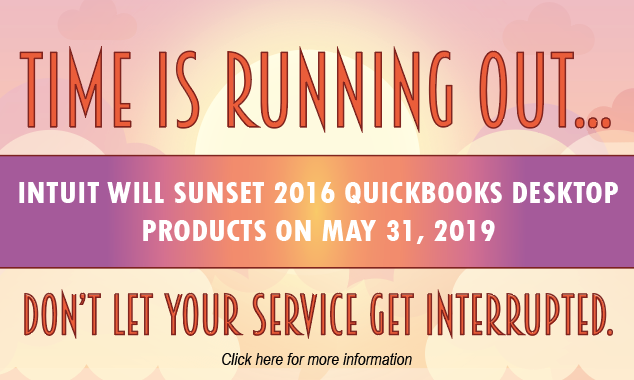 If you are currently using a 2016 version (or older) of QuickBooks Desktop, you may be impacted by the May 31st “QuickBooks Sunset”. What is sunsetting you ask? Sunsetting is when a company chooses to stop supporting an older product. 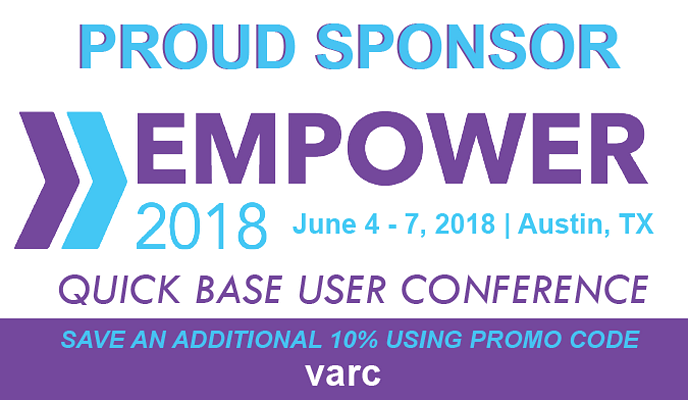 For QuickBooks users, in addition to the end of actual technical support, this also means discontinuation of Payroll, Credit Card Processing, Bill Pay, Online Banking, QuickBooks Email, Accountants Copy Transfer Service and some other functions. It is Intuit’s policy to sunset QuickBooks’ versions about every 3 years after their release. Why might you ask? Because at any given time Intuit has to provide tech support for three or four different versions of QuickBooks that run on three or four different operating systems while maintaining the infrastructure and software to allow these versions to communicate with payroll, credit card processing, the file transfer service, and other areas. After May 31, 2019, access to Intuit add-on services will be discontinued for all QuickBooks 2016 (or older) Desktop products. If you don’t use any of the add-on services or require live technical support, you can continue to use your 2016 (or older) version. 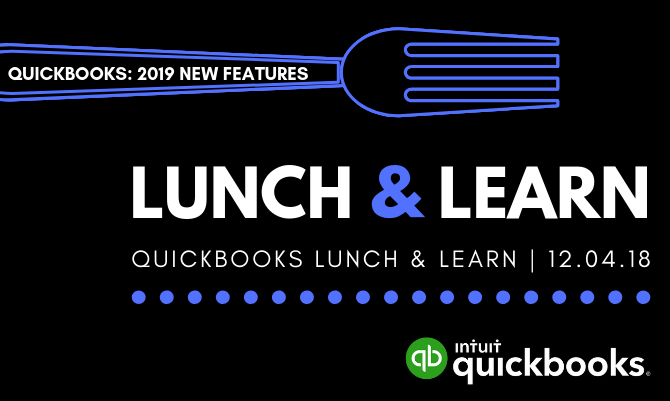 If it’s time for you to update or upgrade to one of the 2019 versions of QuickBooks, be sure to get in touch with us right away. As QuickBooks Solution Providers, we can help you choose the best fit for your company, AND provide the best available pricing for your new package.